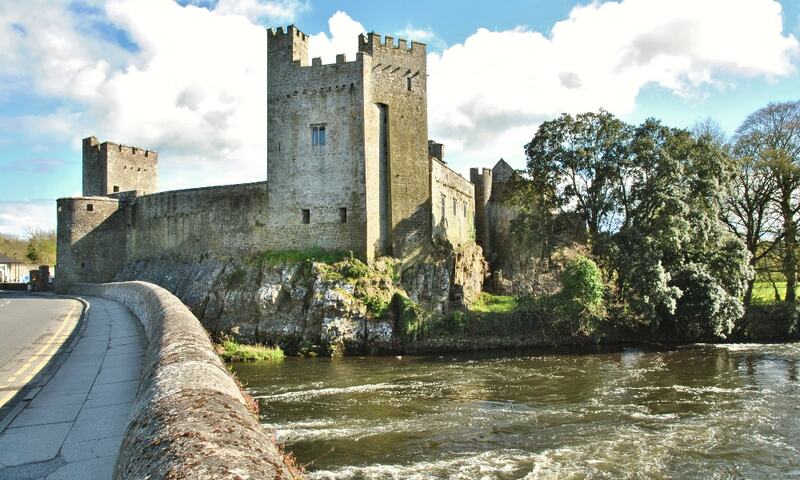 Cahir Castle, one of the largest castles in Ireland, is sited on an island in the river Suir. It was built from 1142 by Conor O'Brien, Prince of Thomond. Now situated in Cahir town centre, the castle is well preserved and has guided tour and audiovisual shows in multiple languages. The castle was built in two parts, with the side now by the street being built 200 years before the side now housing the audio-visual show. Granted to the powerful Butler family in late 14th century, the castle was enlarged and remodelled between the 15th and 17th centuries. It fell into ruin in the late 18th century and was partially restored in the 1840s. The Great Hall was partly rebuilt in 1840. In the late 20th century the castle was named a National Monument, and is now managed by the Office of Public Works, who maintain the castle and operate tours.